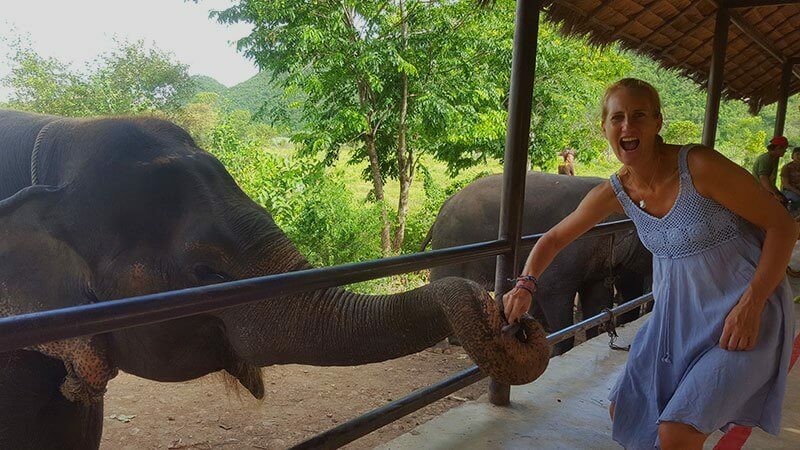 Spending the day with the elephants at Elephant World was an experience of a lifetime and highly recommended for anyone visiting the Kanchanaburi area! Elephant World is an elephant sanctuary where retired or poorly treated elephants go to be looked after, pampered and live out the rest of their years in peace. 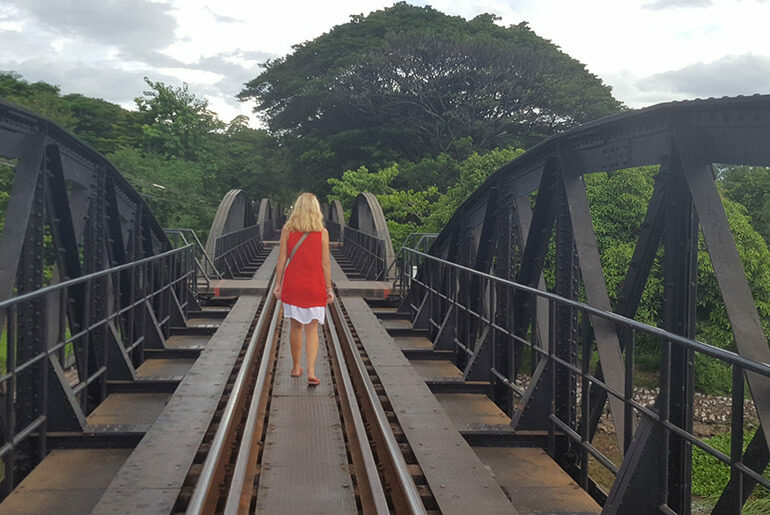 Throughout Thailand, you will find places where riding elephants is still encouraged and considered a top tourist attraction. These poor creatures monotonously trudge an endless circuit each day, with a heavy seating contraption and multiple people sitting astride their backs. Elephants have incredibly strong necks, which is where the Mahout (elephant caretaker) sits, but their backs are not strong and the weight of the tourists causes irreparable damage. This is very evident in some of the elephants at Elephant World, where healthy elephants have a curved back, whereas the ones who carried people have almost flat backs. 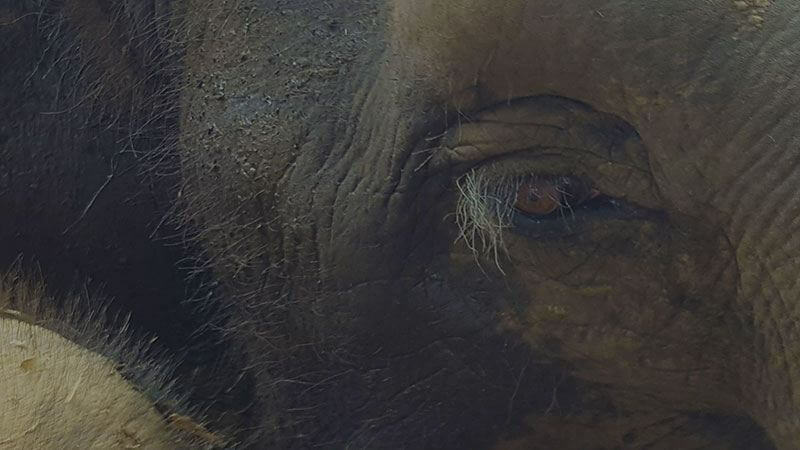 Joining any on of the programs on offer at Elephant World, will assist in raising funds and bringing awareness to the plight of these mighty animals. We were collected from our guesthouse at 8am in a minivan and driven out to the Sanctuary, where two elephants were waiting outside the gate to greet us. After checking in, we each received a branded water bottle carrier to keep as a souvenir, which was a really nice touch. 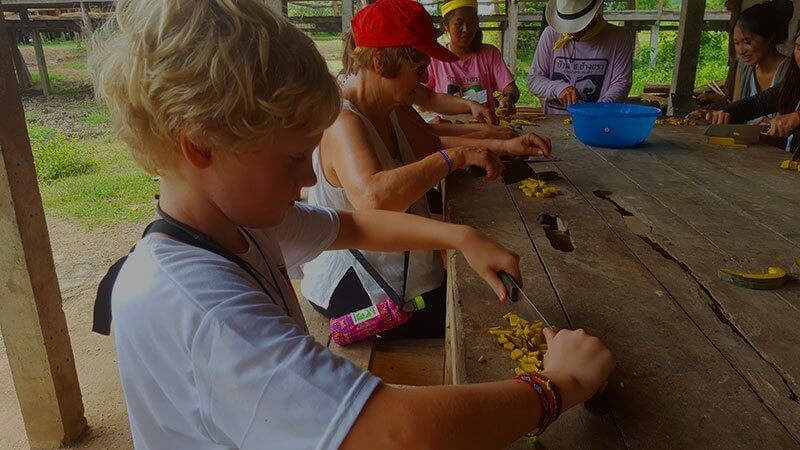 The Sanctuary has a day program, an overnight program, a mahout program where you can learn to become a mahout (elephant caretaker) and a long stay volunteer program. The long stay volunteers get free accommodation in return for looking after the elephants and assisting the visitors. We were split into small groups and each little group was assigned a volunteer, who gave us an overview of the sanctuary and guided us through the daily events. Most of the volunteers were Westerners, but ours was a lovely Thai girl from Bangkok, who was planning on spending a year at the sanctuary to try and improve her English through daily contact with tourists. 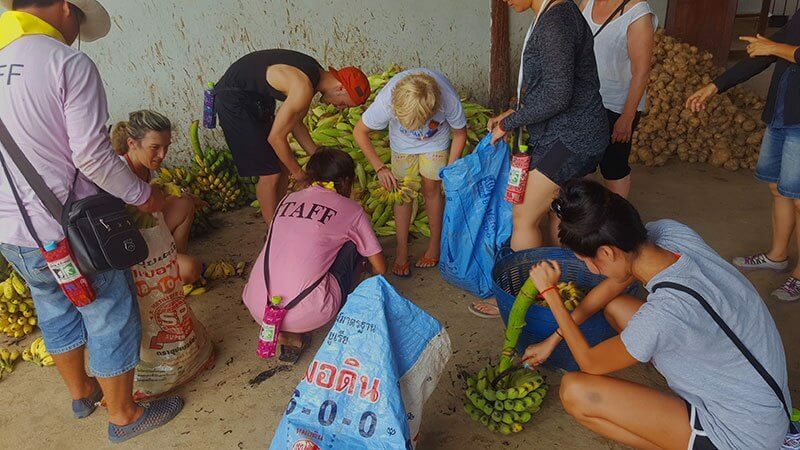 We started the day by feeding the elephants a big basket of fruit – bananas, pineapples, sweet potatoes. Their long, strong trunks gently curling around the offerings and placing them inside their mouths. Each elephant had their name and a little of their history written on a plaque. We got Tangmo, which means Watermelon. 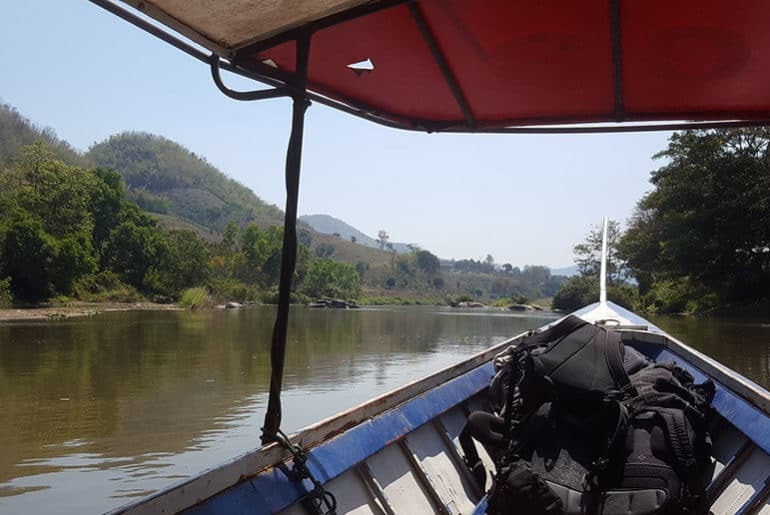 She came from a trekking camp and was very malnourished and terrified of water. Through their gentle rehabilitation program, Tangmo is now healthy and loves her daily bath in the river! We were a bit nervous of the ellies in the beginning, due to their size and power, but by the end of the day, we came to understand what gentle creatures they were, so we were more comfortable standing close and really interacting with them. 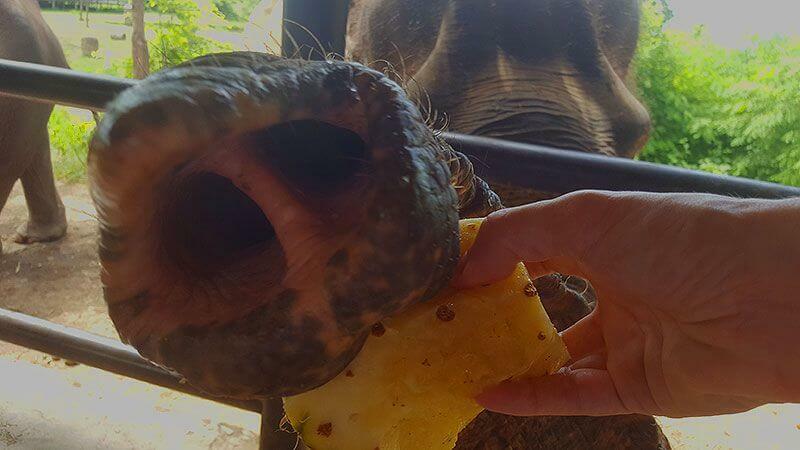 Some of the older elephants had lost their teeth and could no longer chew hard foods, so we helped to make pumpkin and sticky rice balls. 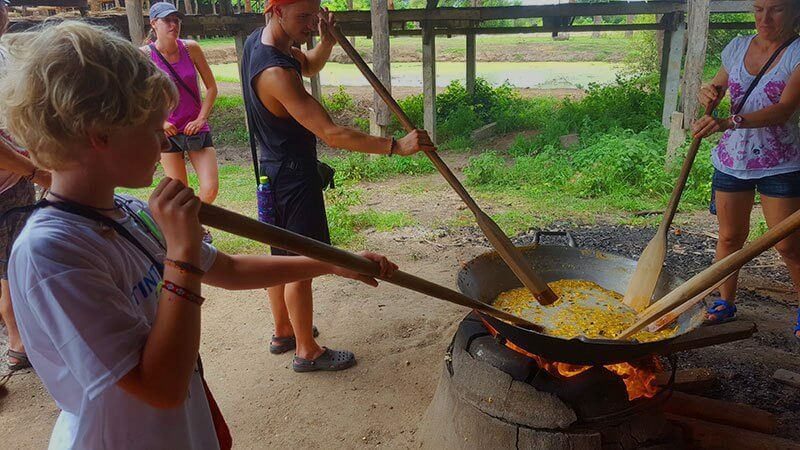 Chopping up the pumpkin and then using long wooden paddles to stir the huge pot of sticky rice on the open fire. After it had cooled we rolled them into big balls and popped some essential vitamins inside one or two. We then got to watch the elephants at play at the lake, where they continued to eat and spray themselves with mud. One of the young elephants grabbed an old car tyre and started throwing it around and playing with it, which was wonderful to watch. The volunteers shared their knowledge of the elephants, recounting funny stories and interesting facts. 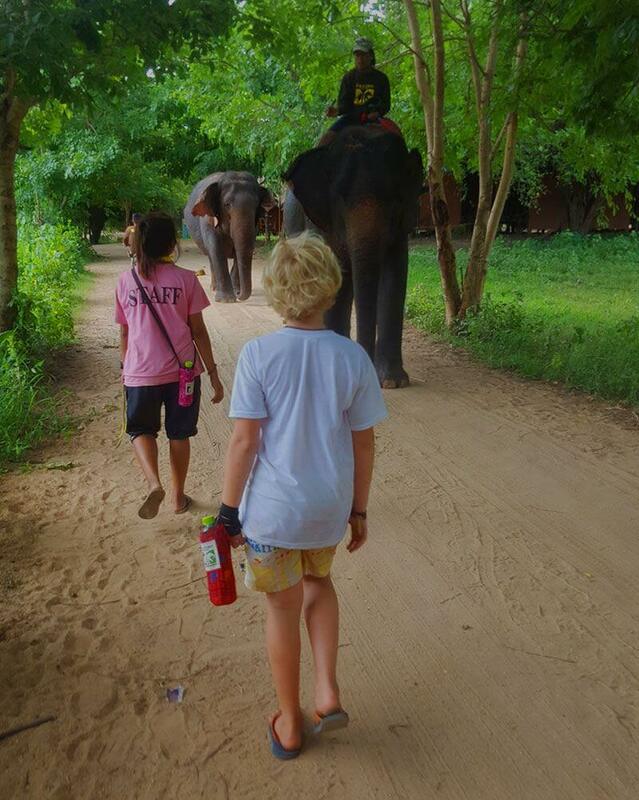 Next, a walk down to the river alongside the elephants. It’s not every day that one takes a stroll down the road next to an elephant! 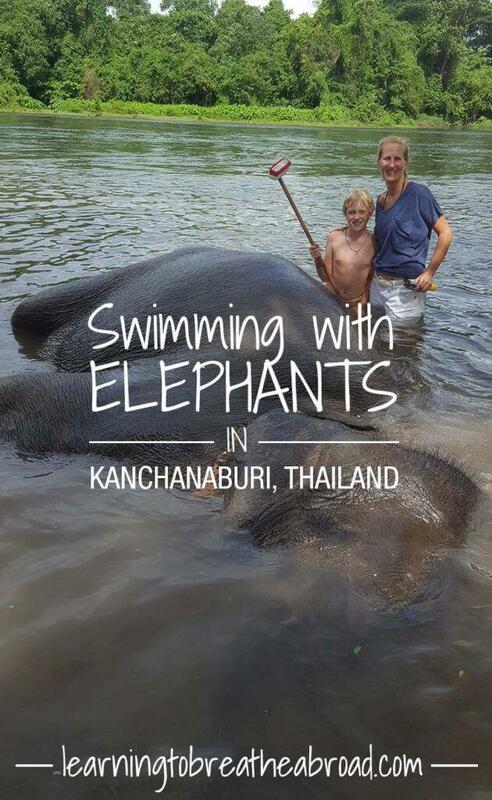 And then the highlight – to swim and wash the elephants in the river! 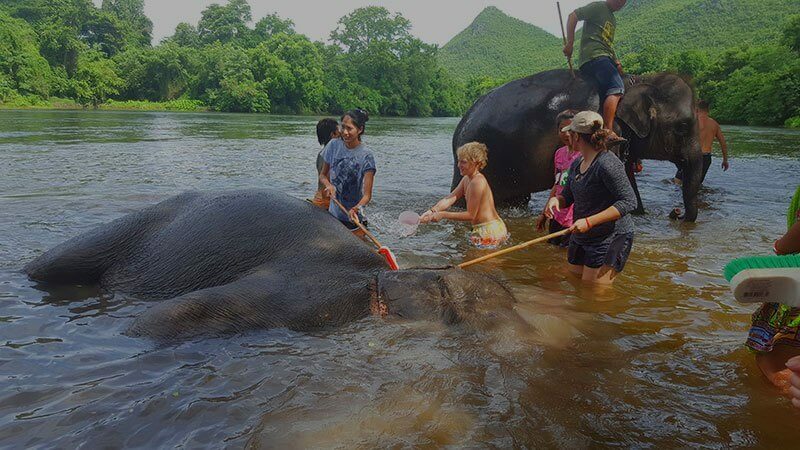 The mahout’s walked the elephants into the water and made them roll over in the water and then we were allowed to join them. Armed with brooms and buckets, we scrubbed the mud off their rough skin, whilst they lay almost completely submerged. They spouted water through their trunks and seemed to be enjoying it just as much as we did. Such incredibly gentle creatures with these soulful eyes. What a privilege to be up close and personal like this with them! 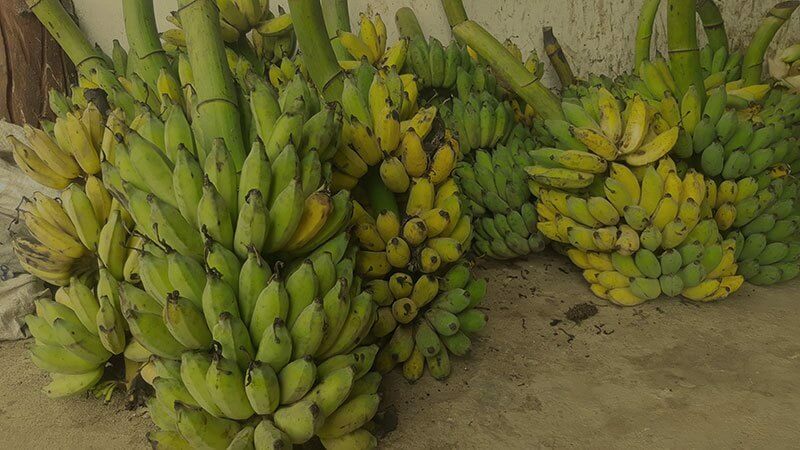 The mountains of fruit and veg consumed by the elephants every day are HUGE, so the next task was to cut bananas off the stems and chop the tops off pineapples. There were also mountains of sweet potatoes and a myriad of other tasty morsels, all piled high in the storeroom. Boy, can these guys eat a LOT! An informative video and lesson on the various fruits and vegetation that they eat, then the last feed of the day and sadly we had to head back home. All in all – WOW – just WOW! You will need to bring sunscreen, a hat, your camera, mosquito repellent and a change of clothes (you will get dirty/wet). 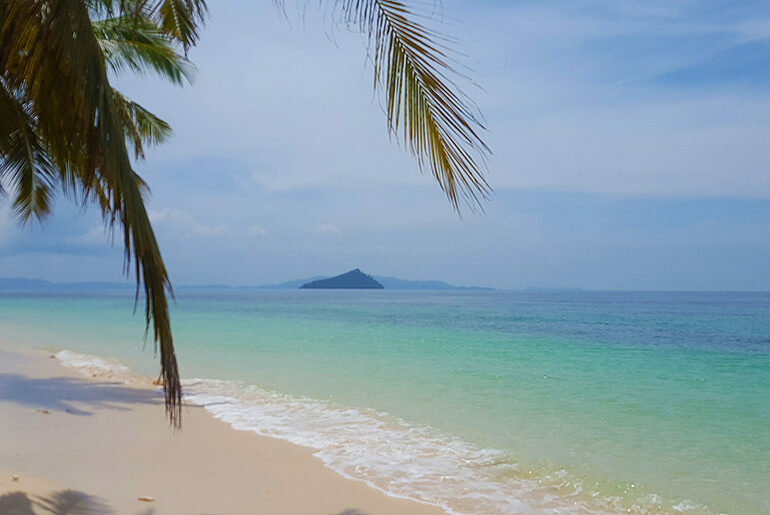 Women are asked to swim in shirt and shorts in order to respect the Thai culture, so don’t take along your bikini like I did – oops! Please bring yellow bananas, you will make new friends!